Description: New 54 inch Beretta Uniform Pro gun case. 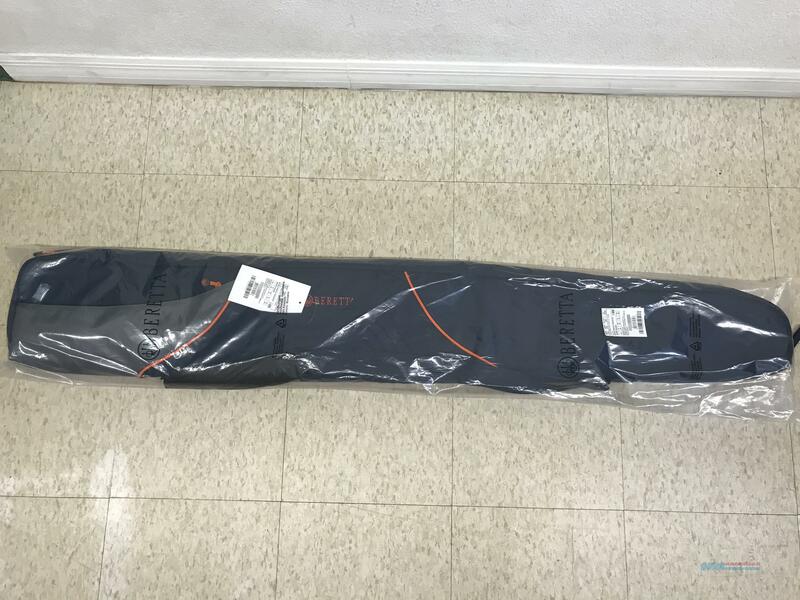 54 inch padded case that will accommodate a shotgun. Blue heavy canvas with orange accents. Heavy duty zipper, carrying handles and shoulder straps. External storage for extra ear plugs or chokes.